ConnaBride Plastics Ltd manufacturers a range of leisure products, such as Icepacks, Cool Boxes, Flexible Cooling Devices, and a range of Garden Furniture covers for distribution in the UK and Mainland Europe. 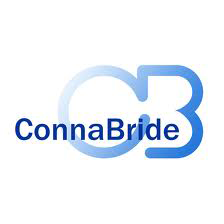 Connabride Plastics Limited was established in 1977 and is based Conna , Co Cork. The Green Start Programme greatly assisted the company in achieving the development and implementation of the company’s Environmental Management System. To outline and implement the requirements of an Environmental Management System.